The length of prostate cancer varies depending on a number of factors, such as the type, stage and location of the cancer. And while some people may be treated with only one therapy session, most of the time patients are subjected to a series of regular treatments that may run anywhere between one and eight weeks. The treatment is usually administered once in a day, five days of a week, with each session only taking a few minutes. But then again, this may vary depending on the intensity of the spread, the type and stage of the cancer, as well as the type of radiation therapy being administered. There are two main types of radiation therapies for prostate cancer: the external beam therapy and internal radiation (or brachytherapy as it is also known). This type of therapy occurs in short sessions administered 5 times a week and spread over a time length of four to eight weeks. The total dosage may vary depending on the number of treatments one is subjected to, the intensity of the cancerous spread, and the other medical treatments the patient has had before. The good thing about using a large number of small doses, as opposed to lumping them up to a few doses is that it helps to protect healthy cells surrounding the affected ones from being affected by the radiation. That way, the patient gets to use weekend rests to give health cells enough time to breathe and get better. Patients are advised NOT to skip a single radiation treatment or hold over before it’s done to avoid rendering the treatment ineffective. Internal radiation therapy is administered using seed implants. These implants are inserted skin-deep in the prostate to emit radiations that destroy surrounding cancer cells. The radiation oncologist one chooses to work with will have to decide between a low-dose-rate (LDR) or the high-dose rate (HDR). The difference is that, while LDR are planted inside the body, in and around the affected cells and may remain effective for almost an entire day, High dose implants are usually placed around the prostrate for only a couple of minutes. They’re then taken off, but after the radiation oncologist has estimated the radiation released is enough to make the treatment effective. There’s nothing dreadful about going for a radiation treatment once one is diagnosed with prostate cancer. 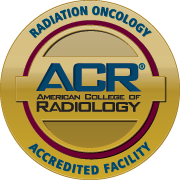 All a patient needs is approximately ten minutes of their time in a day, five times in a week, to visit their preferred radiation oncologist for the therapy. Though it’s upon the therapy oncologist to determine the most befitting radiation therapy for a patient or how long should one be in for the treatment, understanding the treatment and how it works can be a good way to allay the fear associated with it. Patients are advised to talk to understanding friends, relatives and ministers in case they have any doubts concerning the treatment. But usually, the best way is to make a good use of a doctor’s office, a radiation oncologist for that matter. Advanced Prostate Cancer Institute can be a good start to anyone who’s completely green on how to go about with the treatment. Unlike most health institutions that would just jump on the treatment, Advanced Prostate Cancer institute understands the importance of taking their patients through the treatment and the process involved before embarking on anything.